On January 28, police called Mari Takenouchi to tell her that Ryoko Ando (legal name Yoko Kamata) had filed a complaint accusing Takenouchi of criminal contempt. 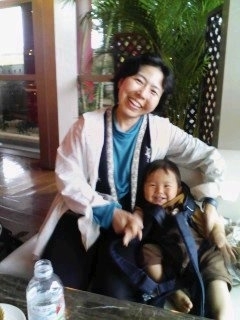 Police visited Takenouchi’s home in February, interviewing her and asking her questions for six hours. The prosecutor will review the information gathered and likely decide by next July whether to move forward with the charge of criminal contempt. It is a minor offense that could result in fines and up to a month in jail. I would like to apologize regarding the expression of “criminals of the century” to both Ms. Kamata and Mr. Nakasone. At the same time, I would like both of them to reflect themselves [on] what they have done. I used the word “criminal of the century” due to my long time resentment seeing that nobody has taken true responsibility after the nuclear accident while lots of children are left being exposed to radiation. In addition, I had a slight hope that both Ms. Ando and Mr. Nakasone, whom I criticized, would rethink what they have done and reconsider the situation of children who have been exposed to radiation.